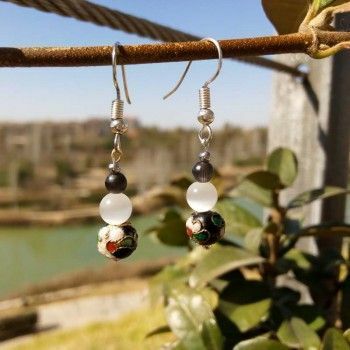 Handmade earrings in white, silvered and black colors with cat's eye, hematite and cloissony Black Drop. The Black Drop handmade earrings combine the intense black of the cloisone with the white with reflections of the cat's eye and the black of the hematite. An elegant and versatile design for your casual outfit. 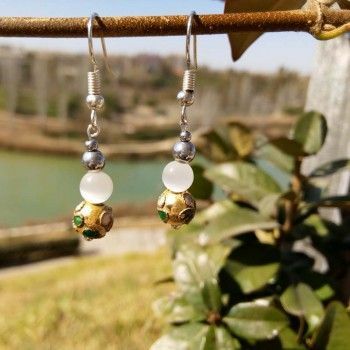 Handmade earrings in white and silver colors with cat's eye, hematite and cloissony White Drop. 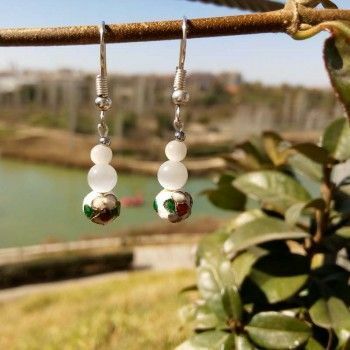 The White Drop handmade earrings combine silvered with the intense white of the cloisone with the cat's eye and the hematite. An elegant and versatile design for your casual outfit. 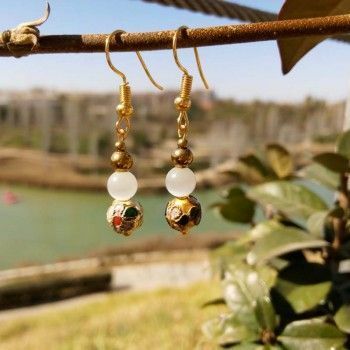 Handmade earrings in white and golden colors with cat's eye, hematite and cloissony White Drop. 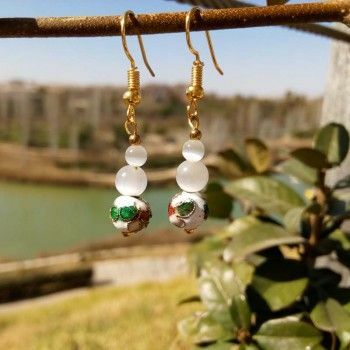 The White Drop handmade earrings combine the intense white of the cloisone with the cat's eye and the hematite. An elegant and versatile design for your casual outfit. 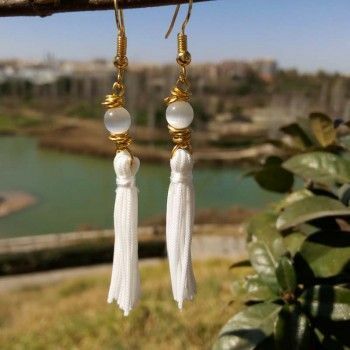 Handmade earrings in white, golden and black colors with cat's eye, hematite and cloissony Black Drop. 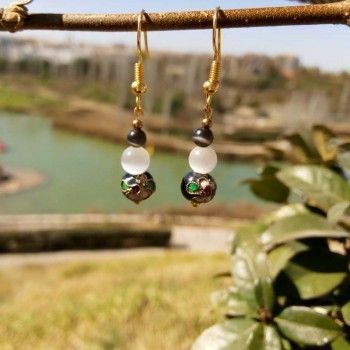 The Black Drop handmade earrings combine the intense black of the cloisone with the white with reflections of the cat's eye and the black of the hematite and a golden touch. 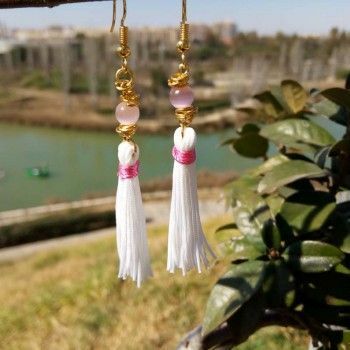 An elegant and versatile design for your casual outfit. 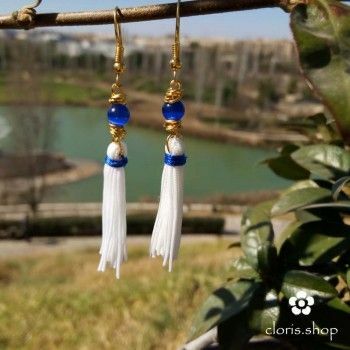 Handmade earrings in white, dark blue and golden colors with cat's eye, hematite and cloissony Blue Drop. An elegant and versatile design for your casual outfit. 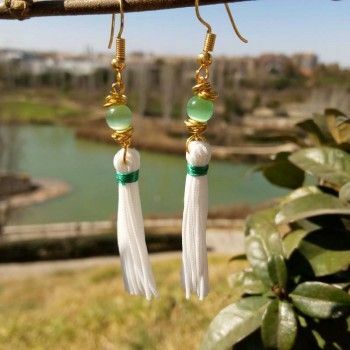 Handmade earrings in white, dark blue and silver colors with cat's eye, hematite and cloissony Blue Drop. An elegant and versatile design for your casual outfit. TRIPLE BLACK women's earrings in white, black, blue, gray and silvered with tiger's eye, cat's eye, alabaster, goldstone, onyx, hematite and agate. Ideal for any occasion.